Do you often find yourself fantasizing about your dream Disney Vacation? It doesn’t have to be just a dream! A Disney Vacation is completely obtainable. Stick with me and I’ll share with you your options, how to save money and steps for planning the perfect and stress free Disney Vacation! Follow this link to access my FREE Disney Planning Pages! When planning your Disney Vacation there are a few initial factors to consider. Once you’ve decided on when to go, accommodations, ticket type and food, then there is a basic timeline for what to do when and is mainly done through “My Disney Experience” either on the computer or through the app. When can YOU go? : Don’t let other factors sway you if you have very specific dates you are able to go. Your availability is key. I know that when my mom was planning a Disney vacation for our family when I was growing up, she had to plan around the easiest time for my father, who is a small business owner, to take time off work. Crowd Calendars/Events: I love using the crowd calendar on Undercover Tourist! You may want to take into consideration what the busier times of year are and if there are events either that you don’t want to miss, like the Flower and Garden Festival at Epcot or events that will deter you from visiting, like sporting competitions. Promotions: This is definitely something to consider. Disney will have special promotions different times of year. Right now they have a Summer Discount going on for up to 25% off resort stays and a discount for a 4-day one park a day pass at only $79 a day! This ticket deal must be purchased by the end of July! They’ve also just announced their Fall promotions for a resort stay discount up to 25% off and their recurring FREE Dining Promotion August 21st through December 23rd! But, the deal for FREE dining must be booked by July 7th!! As always, exclusions apply, so check out Disney for details on all these great promotions. There is always a debate on whether off-site or on-site is better. I’m a DVC (Disney Vacation Club) owner, so obviously I’m in the on-site camp on this one. But, there are pros and cons to both. Check out my side by side comparison below. If you decide off-site, you’ll need to choose between a house or a hotel. If you choose a house rental, check out what is to offer on HomeAway. If you choose a regular hotel, just check out travel deal websites like Priceline and Expedia for the best deals. And, make sure to pay attention to reviews and amenities. Use my guide below to decide what is best for you. There are four ticket type options. Annual Pass – Best value when visiting 7+ days in a year. It also includes dining and merchandise discounts and free parking. You can purchase directly from Disney, but there are other ways to find tickets cheaper. Check out Undercover Tourist’s ticket prices which typically save you at least $10 or more when buying multiple days at once. **Dining plan change for 2018 announced! In 2018 “specialty beverages” including alcohol will be included in the dining plan. At this time Disney is not allowing an “opt out” cheaper option, so if you do not plan to drink alcohol, paying for the dining plan may not be your most economical choice. But, if you plan on drinking, this is an excellent way to save money. The new plan looks like this: with each meal a non-alcoholic or specialty drink is included (this can be either an alcoholic beverage or a non-alcoholic specialty drink). You can use my Disney Decision Guide to help you choose a package. I’ve provided two examples of ways you can use it below. How Can I Afford Disney? This is a common question people ask. It doesn’t have to cost as much as you may believe. This is for a family of 4, 2 adults and 2 children (6 & 12). For a 5 night 4 day stay at Pop Century Resort and 4 days of Base Tickets (1 park a day) in July will currently cost $2,102. This isn’t including food, but the same amount of days and tickets in September will cost you $2,200, but would most likely qualify for FREE dining which is a typical promotion they have in the Fall every year. There are many other ways to save money. Book during deals and promotions as mentioned above. Book for stays between Sunday and checking out by Friday. Friday and Saturday night stays cost more. Check with your employer. Often companies will have deals for tickets and/or vacation packages. Are you a member of Costco, BJ’s or Sam’s Club? 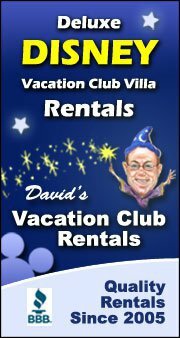 They will sometimes offer excellent deals for tickets and/or vacation packages. Disney Visa Card: I DO NOT encourage anyone to take on additional credit cards or get into debt for a Disney vacation, but this is an excellent option if you trust yourself. You can often get a rebate, I got $200, back on your first statement. Also, they will have a NO interest period to pay off the balance, typically 6 months. In addition, you can get Disney rewards in the form of a Disney gift card. I use mine to buy normal things like groceries and gas and then cash in the rewards. There are also so many ways to earn gift card money online and through apps. I use Shopkick, an app on my phone that gives me “kicks” when I just walk in to many stores. You also get “kicks” for scanning items. I then earn gift cards. I use my Target Debit card to buy Disney gift cards at 5% off. Check out Couponing to Disney for more fun ideas on how to save for a Disney Vacation. Also, I highly recommend using a Disney Travel Agent which can help you find amazing deals and guide you in planning if you want help. The services of a travel agent are completely FREE. Follow this link for more information! Disney Travel Or fill out the form you see in the side bar! Once you’ve chosen your package, there are a few things you’ll do leading up to your trip. Choose room/area: You can do this yourself by checking out the map of the resort you plan on staying at, but I highly recommend using Touring Plans to choose the best room. It does cost $14.95 for a year subscription, but I think it is well worth it for a decent room. And, they provide other helpful planning information, so check out their website. I am not affiliated with Touring Plans in any way and will not get paid if you subscribe with them. My high opinion of the website is purely my own. You can use their filters to choose a room based on proximity to transportation, proximity to amenities, noise level, etc. It will also show you a room view with details. Once you decide on a couple of room choices, all you have to do is either request it through Touring Plans or call Disney and request rooms. For example, we stayed at the Pop Century resort in September 2016. It was a couples trip and although we didn’t want to be far from the restaurant or transportation, we also wanted a quiet room. Using Touring Plans we were able to choose a room in the 50’s section that was a close walk to the main building and bus, but still quiet. 2. Add trip members and personalize Magic Bands on My Disney Experience. 3. Plan for what day you will visit each park. This is especially important if you purchase base tickets and are only able to visit one park a day. Regardless though of whether you decide to park hop or not, you’ll still want to zone in on one park each day, as Disney will only allow you to make Fast Passes for one park a day. Use my decision guide modeled below along with the monthly crowd calendar found on Undercover Tourist to choose which park(s) to visit each day. 4. Research must-dos and restaurants. Using Pinterest to research rides, events and restaurants provides an invaluable wealth of information. Everyone is different and will have different priority must-dos. 5. Research Memory Maker and decide if it’s right for you. If you decide to get it, purchase in advance as it is cheaper! Check out my Why Memory Maker Was Worth It post for more information! Book your Advanced Dining Reservations on My Disney Experience! This is especially important when you want sought after reservations at places like Be Our Guest! Tip: Booking an early morning reservation will allow you to get in the parks early! Book your Fast Passes! Use my planning guide modeled below to organize your scheduled Fast Passes. After you’ve used your three scheduled ones, you can book up to three more that same day. So, you’ll want back ups. You’ll also receive a Magical Express confirmation email and/or letter in the mail. Keep this with you as it provides directions of where to go for the Magical Express bus. You can also “check in” for your Disney Resort as early as 60 days prior to your trip! I highly recommend checking in before you arrive! Write up your daily plan as modeled in the “Our Disney Day Plan” below! Also, for any off-site guests, now is the time to book your Fast Passes! You will also be able to view your Fast Pass+ Selections and Dining Reservations on My Disney Experience through the app and on the computer. You’ll receive your magic bands. Technically, they may arrive as early as 30 days before your trip, but I don’t want to get your hopes up and they end up coming later. So, we’ll say your magic bands should arrive between 3-4 weeks. You can add even more personalization yourself with tattoos and fingernail polish. I like to glam mine up a little with some glitter finger nail polish! You should receive your luggage tags and Magical Express confirmation. Organize your packing list, print or save to phone (I prefer this method) reservation details and confirmations #’s. The wonderful thing about Disney is that all information is linked to your Magic Band. I’ve never had a need to pull out my confirmation number for the Magical Express or my resort reservation, but I have heard of people who did. Once you make all of your plans and pre-arrange things, you just have to get off the plane, head to the Magical Express location at the airport, scan your magic band, they’ll tell you what line to get in and get on your bus. Remember, you’ve put your tags on your luggage, so you didn’t have to go to baggage claim, you skipped that and went straight to the Magical Express. Depending on when your flight arrives, you’ll get a text usually before you arrive at Disney saying your room is ready. So, when you arrive, there is no check in. You will just head straight to your room number, scan your magic band at the door and you’re home! Do you want the FREE Disney planning printables shared in my guide? Subscribe below to access all of these and more! Plan enough so that you aren’t stressed or overwhelmed by it all, but also don’t over plan or be the schedule nazi. This is a vacation at Disney and should above all, be fun! Want more Disney? Check out my other Disney posts! Want more Orlando? Check out my Wizarding World post! This entry was posted in Disney World and tagged affording disney, disney guide, disney onsite vs. offsite, disney organization, disney planning, disney planning pages, Disney Resorts, disney timeline, disney trip, disney vacation, Disney World, disneyland. ← Organize it! Chips Storage! !